Small presses have served an historic function within the literary community, at times helping to define the eras in which they participate. From launching careers to fostering deserving but overlooked writers to preserving the aesthetics of book arts, the initiatives taken by DIY publishers today are as important as ever in ensuring important writing finds its readers. Join Brooklyn Arts Press publisher Joe Pan for a dynamic reading by poets-in-residence followed by a barbecue and Q&A with small press publishers and editors discussing their experiences in the field. 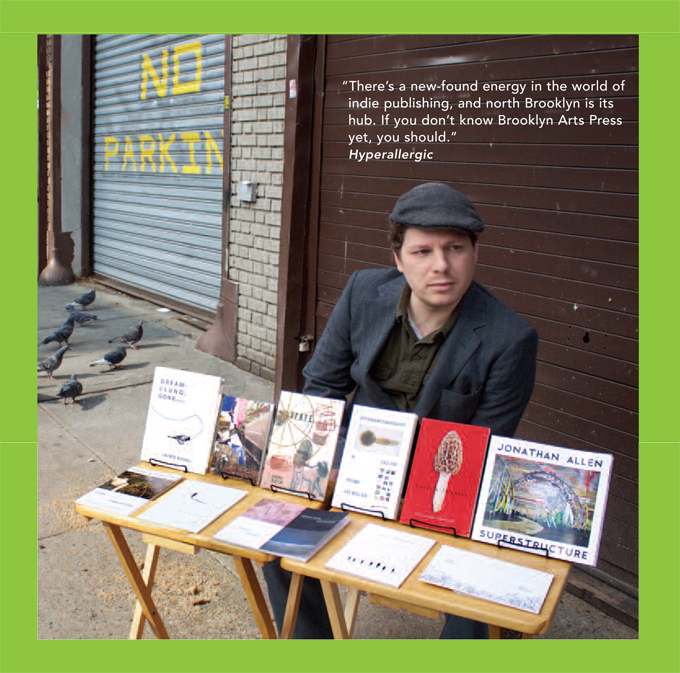 Brooklyn Arts Press is a small press that publishes full-length poetry books and chapbooks, art monographs, and lyrical short fiction from new and emerging artists and writers.